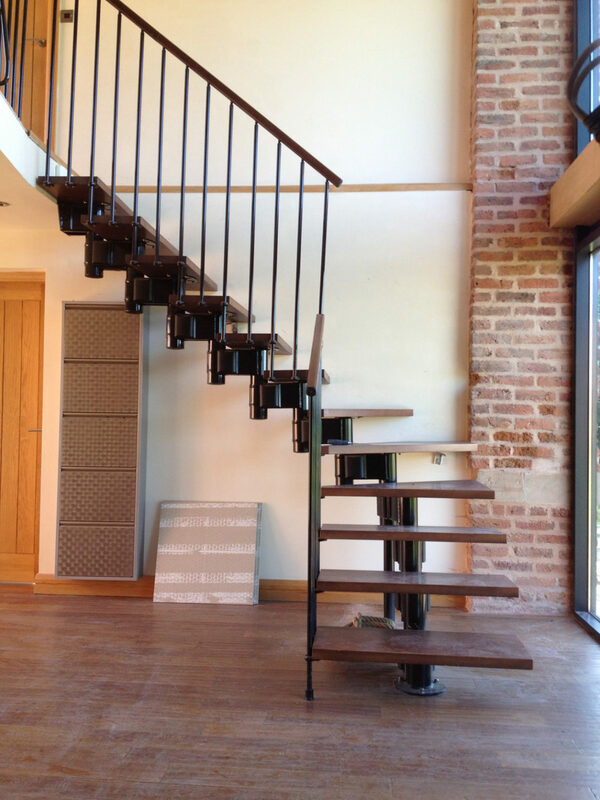 Our client purchased a partially completed barn conversion and commissioned us to complete essential works. The existing staircase was poorly constructed and not fit for purpose. 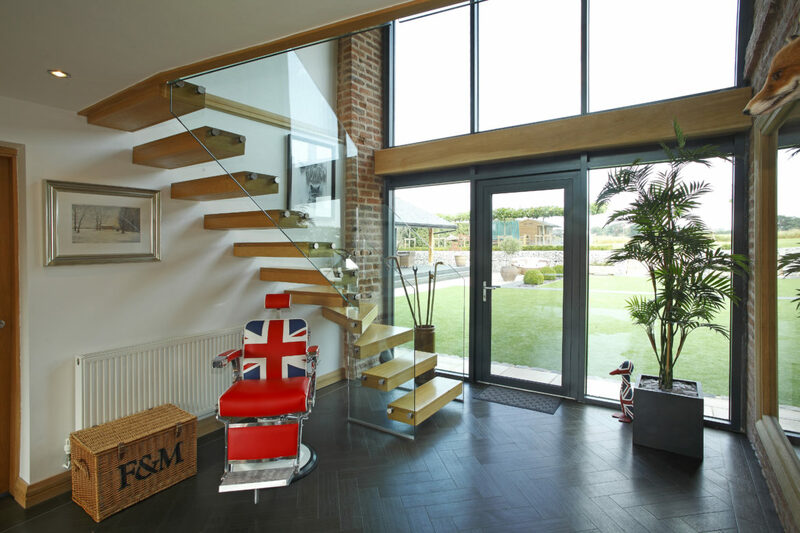 The client’s brief was for us to design a contemporary centre-piece that would better reflect their style and make the most of the two-storey vaulted hall area. 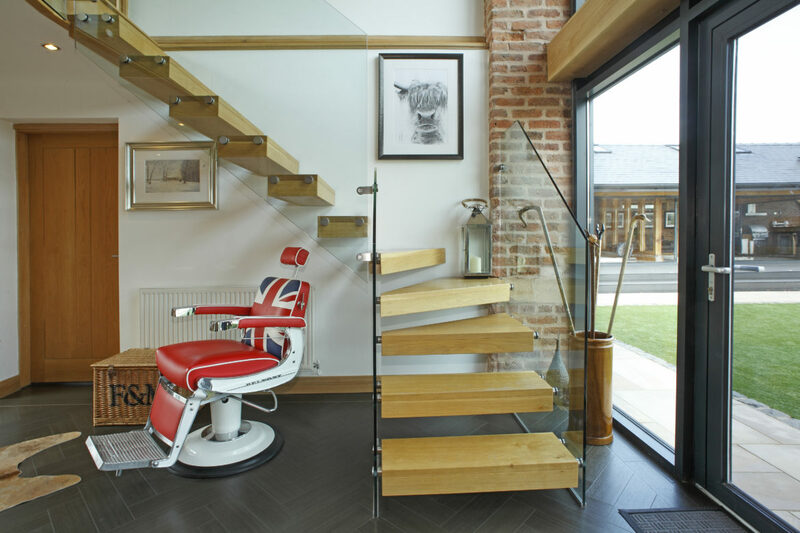 Our design focussed around the idea of a ‘floating’ staircase, with Oak steps structurally supported to the wall and glass balustrades. 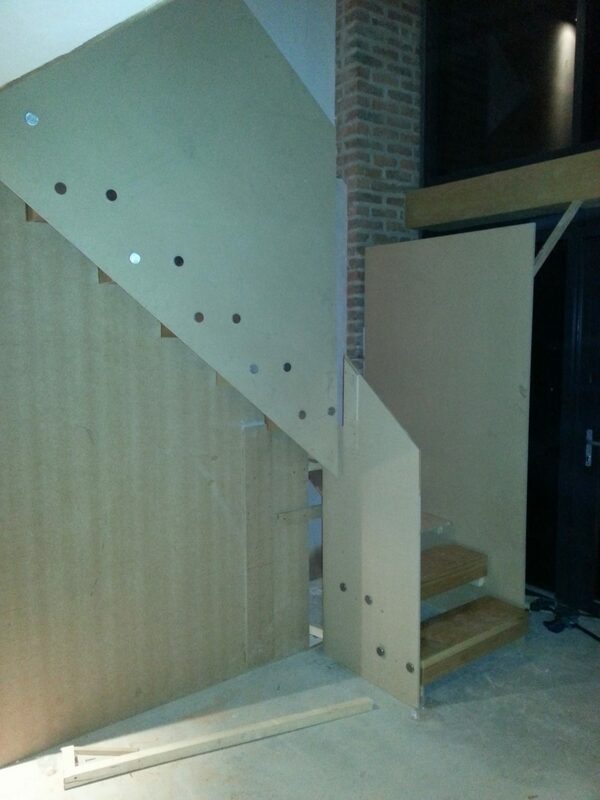 This involved a high level of pre-installation work which included inserting a steel ‘ladder’ into the wall to support the steps. 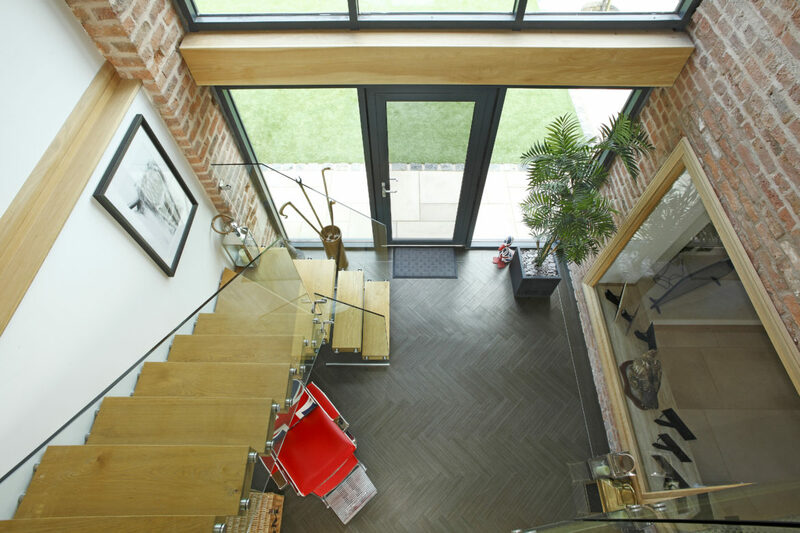 Life-size modelling was completed using MDF templates to ensure the design worked, before the steps and 12mm toughened glass panels were made and installed. The end result was a great success and has led to numerous additional projects.